Is this still Europe but with papaya trees and silkmaking? Maybe, in any case La Palma or “La isla bonita” is one of the Canary Islands in the Atlantic Ocean being situated on a still active volcanic hotspot not far away from Morocco. It is geologically quite young (1.5 million years) and still growing mainly in the south due to the volcanic activities with the last eruption in 1971. 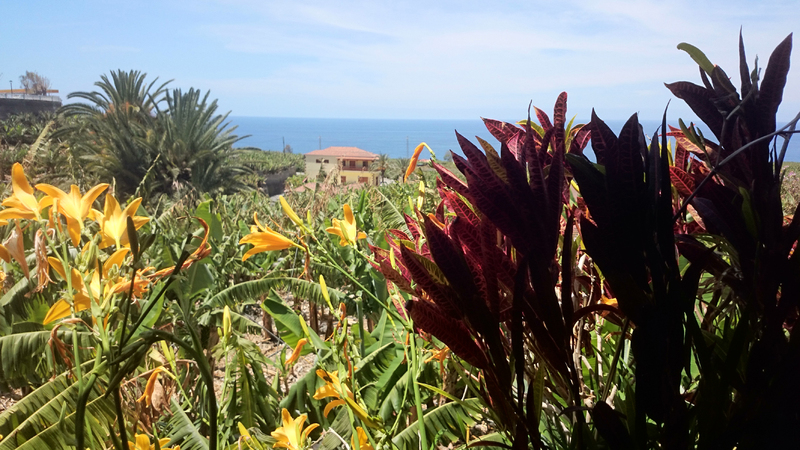 People call it also the green island as the volcanic ash is a highly efficient fertilizer for the soil, and agriculture today is mainly comprising banana farming at the coast and vineyard cultivation on the slopes a little bit higher. 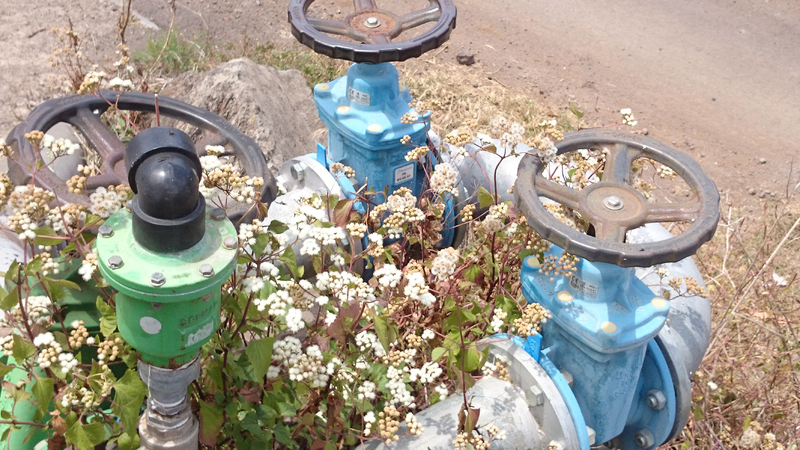 Fortunately, tourism is limited, so that the island is still quite original and normal, a real very nice place to go especially in spring when all plants are in astonishing blossom with all brilliant colours of the rainbow. Allthough unemployment is very high (> 20%) only few people leave the island today as for instance in the 19th century when a lot of people immigrated to Cuba and Venezuela especially. So the Latinamerican influence is quite strong here, but people see themselfes as Canarians while being an autonomous region of Spain which is truly quite far away (at least 1 hours flight time over the ocean). 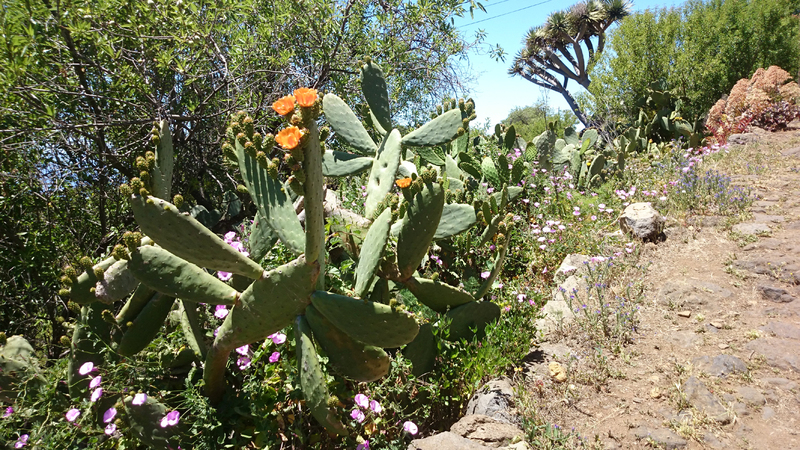 There are diverse impressive vegetation zones (subtropical, semi-desert, foggy forests etc. pp.) on the island with mountains raging up to 2.450 m altitude over sealevel. The complete island is a protected biosphere reservat. But sometimes you have to take care of not getting lost on a nebulous path in the mountains leading apparently to nowhere. 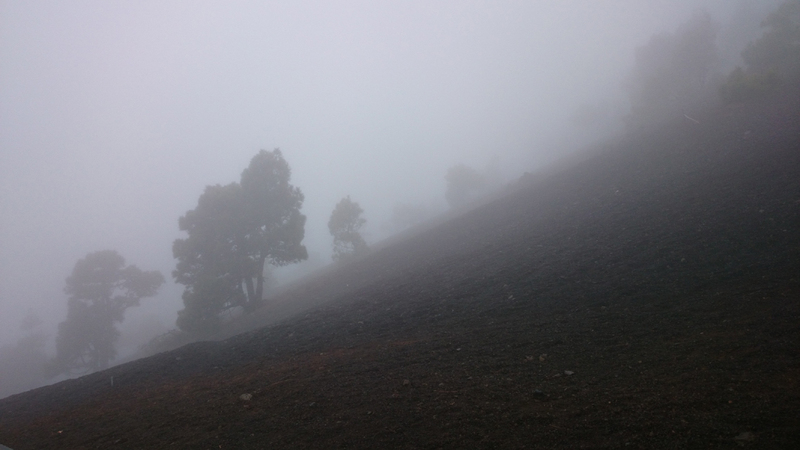 All persons wishing to go by car to the central situated volcanic created caldera are in need of special authorization to enter as there is only limited space available for parking the cars. So nature has a chance to survive with no gift-shops or restaurants nearby. Before, the violent conquest and colonization by the Spanish in the 15th century, the caldera was a main spiritual place of the original population, the Benahoaritas, with the holy rock Idafe there as part of a ceremonial worship location with remainings till today. The old paths of the aboriginees are still passing the often wildly countryside, going up and down and passing crucial canyons on the way to the next dead volcano getting alive sometimes unexpectedly. 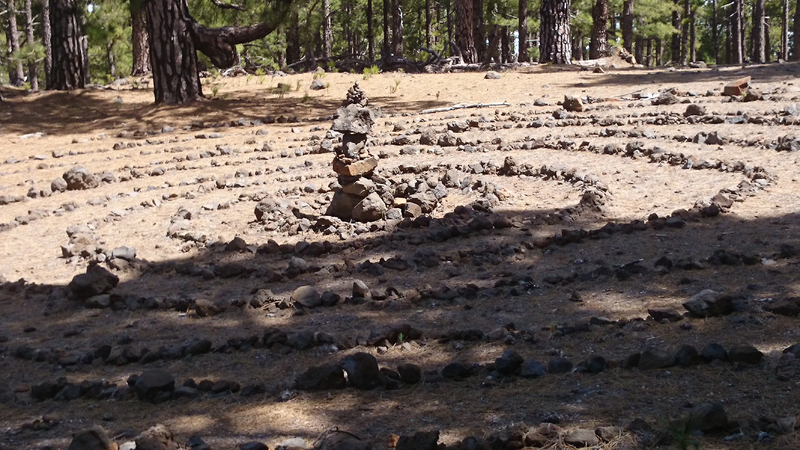 Everywhere in the country scattered meeting places of the Benahoaritas – the tagorors – can still be visited which are dominated mostly by geometric symbols such as the neverending spiral standing not only here for the eternal cycle of life and re-beginning. Steep cliffs are surrounding the island with some quite often difficult reachable beaches here and there such as the Playa del Jurado, a bay frequently used by pirates in former times. 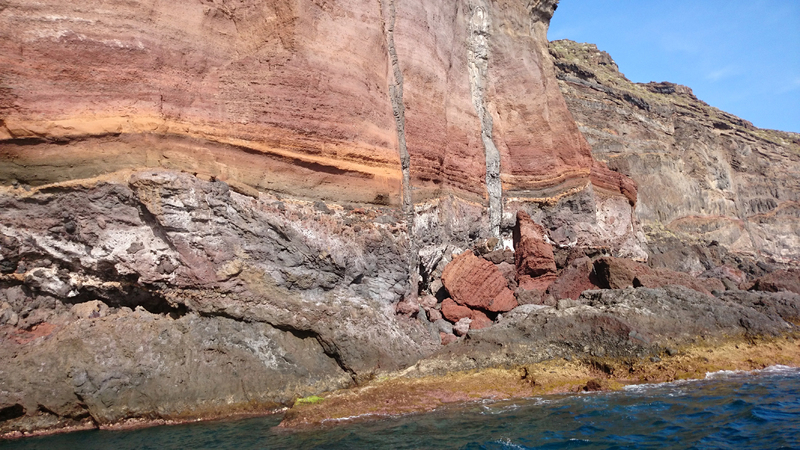 Nearby the geological activities have created really beautiful cliffs by multiple layers of diverse metallic volcanic ash types. 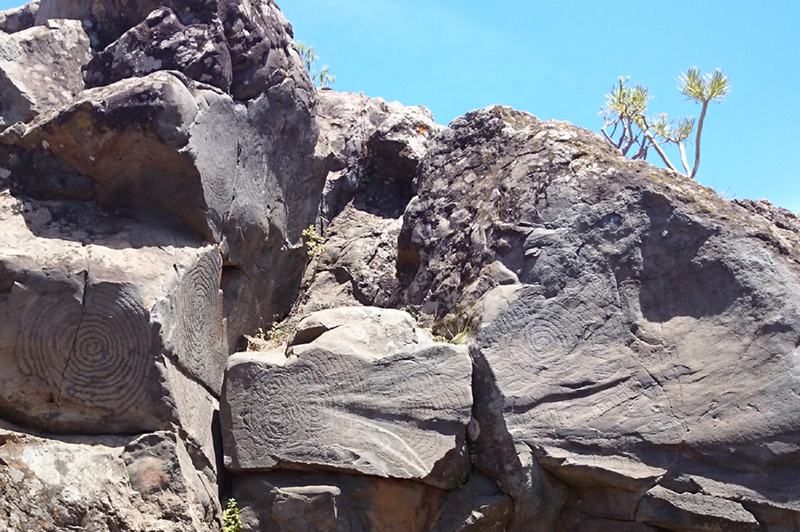 Near the city of El Paso the archeological site La Fajana is showing the typical petroglyphs of the Benahoaritas, eternal relicts of old cosmological believings as first settlements on the island are going back to 500 BC – most probably the first settlers came from North-Africa to La Palma. 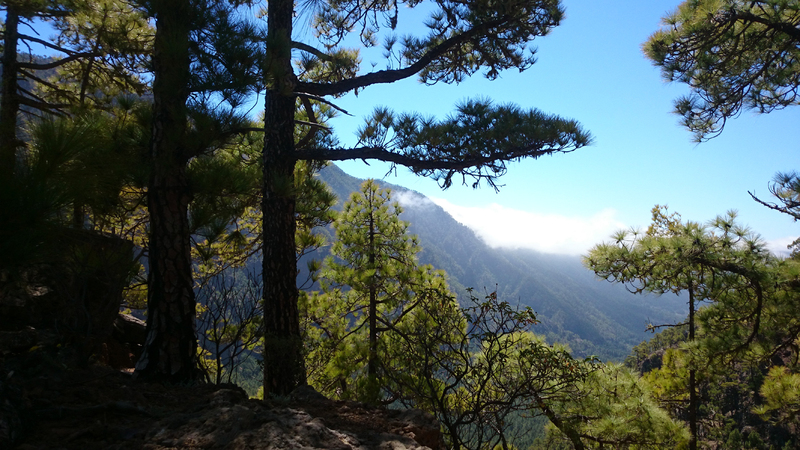 The Benahoaritas have also left two quite big stone pyramids on La Palma each with staircases leading to the upper platform of the building, but the real purpose of these pyramids is nowadays a secret. The Canarians today like very much their longlasting fiestas. 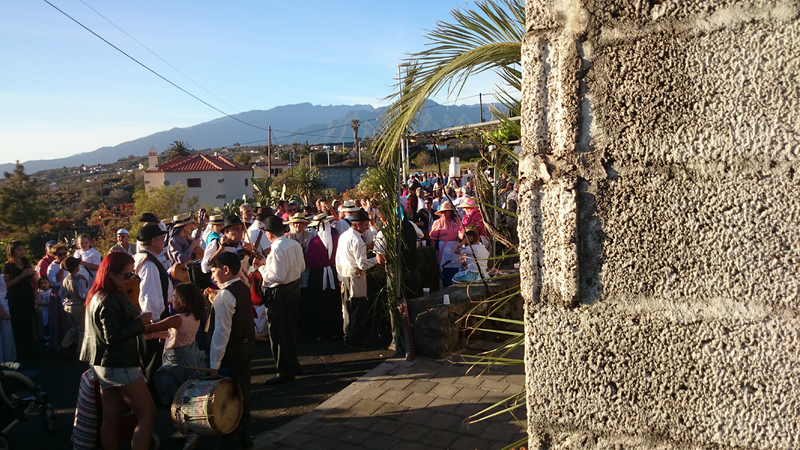 At La Mancha there is a short fiesta in April and when you go there you will get free of charge eating, drinking and Canarian music in the street. But the real fiesta season starts in May until September when days are longer. Then, each village and city will hold some time its fiesta (normally lasting 1 week), subsequently during this time you always have the chance to attend somewhere such a party, so really the hottest period of the year in each sense. I must return sometime to this small island in the Atlantic Ocean, with all its different shapes of nature, the original creative force of earth in its diverse volcanos, tropical flowers arising from a stony ground by surprise and desertic landscapes covered with black volcanic sable and cryptical lava bombs, so that sometimes it feels more like being on another planet.